I am making a fashion statement! It has been a Long Long time since I post my photos. I had been really busy with everything. I am still wearing my tall boots everyday. This is my new outfit for this new school year. 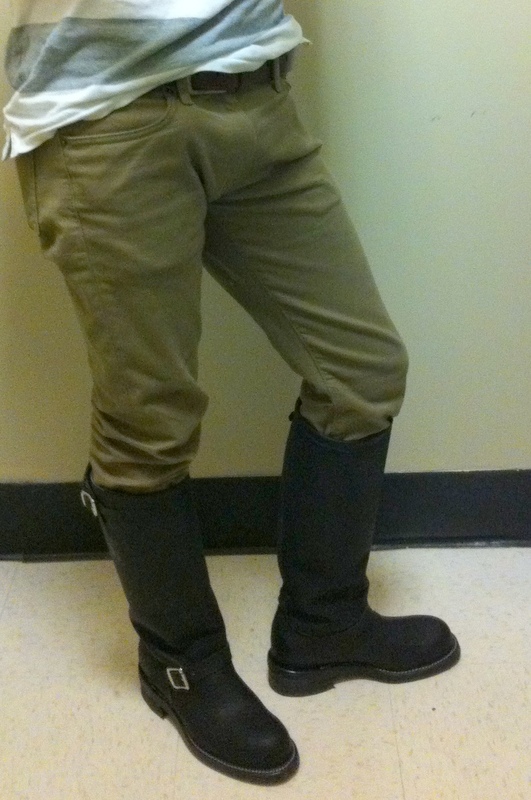 Polo, T-shirts with slim cords pants and my tall 17 inches Chippewa Engineer boots (Size 9). Stay tuned and I will post more pics. Thank you for your supports. Great Enginner’s boots! I agree with R above – That is a nice bulge in your pants, Bootboy. I’m pretty sure that my bulge is noticeable when I wear my harness boots! I can’t really help. Wearing boots just turn me on so BAD! I love that feeling though! How about you? 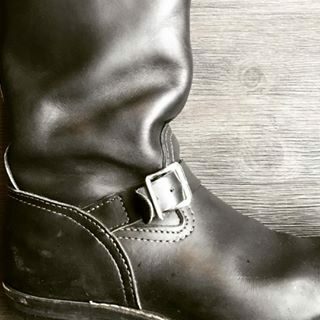 Do boots turn you on? YES!!! wearing a pair of Justin ropers right now. love them!! Those pics are, of course, absolutely sensational, and tempting to the degree of setting even the most controlled minds to fire of fancy and imagination. The cord pants are very nice and, these not being particularly tight, how do you account for the massive bulge in the crotch? WA you are so attractive, and the best thing about you is that you are creating thought-provoking erotica totally unawares. Compared to you, the models who appear on the same page are contrived, unnatural, and look as if they are posing for money (and indeed they are). More of such fine picture please!